Among the types of Personal Data that this Application collects, by itself or through third parties, there are: Cookies, Usage data, geographic position, email address, first name, last name, username, password and company name. Step 2: From the candidate’s profile page, select the delete option. How do I request deletion of candidate data in bulk? For requesting deletion of candidate data in bulk, please contact HackerRank support by filing a request to support@hackerrank.com or by submitting a request using our Support Request form. If you have a Customer Success Manager or Account Manager assigned to you, you can also route the request through them. Once your request and the list of candidates to be deleted is received, HackerRank will anonymize the data within 14 days. You will be sent confirmation once the deletion is complete. Can deleted data be reinstated? No. Once candidate data is deleted, it cannot be reinstated. How to download candidate data? Step 3: Candidate data will be downloaded in a portable format. How to edit candidate data? 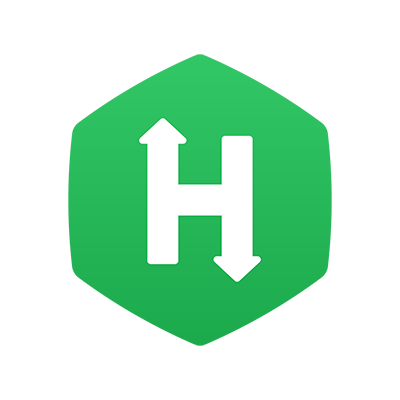 For editing candidate data, please contact HackerRank support by filing a request to support@hackerrank.com or by submitting a request using our Support Request form. If you have a Customer Success Manager or Account Manager assigned to you, you can also route the request through them. Once your request is received along with the information of the candidate to be deleted, HackerRank will anonymize the data within 14 days. You will be sent confirmation once the candidate information has been updated. Do we share candidate data with other third party services? Does HackerRank maintain an audit trail of events? Yes. HackerRank maintains an audit trail of all user events. You can retrieve the audit logs using our API. You can also submit a request by filing a request to support@hackerrank.com or by submitting a request using our Support Request form. If you have a Customer Success Manager or Account Manager assigned to you, you can also route the request through them. As a candidate, I took a HackerRank test. Can I delete my test attempt? HackerRank is a test administrator. The test itself is owned by the company that administered the test. Please contact the company who administered the test directly to request deletion of your test attempt. As a candidate, I took a HackerRank test. How can I delete my personal data? HackerRank is a test administrator. The test itself is owned by the company that administered the test. Please contact the company who administered the test directly to request deletion of your personal data..
As a candidate, I took a HackerRank test. How can I download my test data? HackerRank is a test administrator. The test and its associated data is owned by the company that administered the test. Please contact the company who administered the test directly to request download of your test attempt. As a candidate, I took a HackerRank test. How can I edit my data? HackerRank is a test administrator. The test and its associated data is owned by the company that administered the test. Please contact the company who administered the test directly to update your information.